Why teach programming? Odds are you already know how important it is to learn to code. But just incase you don’t remember the importance of programming education, I’ll recap. Programming is the language of the future. By 2020 there will be twice as many programming jobs as there will be programmers. Programmers are needed in every industry in every part of the world, and the demand is only going to increase. Learning to code teaches you how to think. When you program you use deductive reasoning, logic and problem solving skills that are necessary for everyone to learn. It is incredibly empowering. You can literally build anything you can imagine. Just ask Zora Ball. She made an iPad game when she was in the 1st grade and now it is in the app store where millions can download it. If that isn’t enough to convince you, take a look at this video from Code.org and get back to me. Despite all of this, only 10% of schools in the United States offer programming classes. What is stopping people from teaching kids programming? Since we started working on Kodable, I’ve consistently heard from teachers who want to teach programming, but don’t have time. They can’t fit it into their already packed schedule because it’s not required. Programming is only required in a handful of countries, and until it is required in the US, good teachers have to find ways to incorporate it in the limited amount of time they get. A lack of resources often prevents schools from teaching programming. 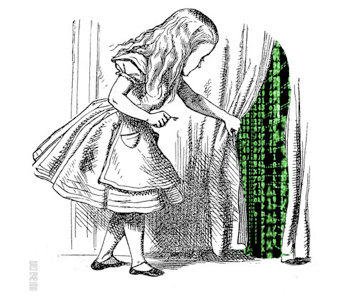 Unfortunately, many still view programming as something unknown or scary. This means there are a limited number of people with the knowledge of when and how to teach it. Many schools lack the technology to teach programming, and are’t receiving enough funding to get it. One of the greatest changes for education in the past five years is the increase in connected educators. Teachers, administrators, parents, and others have developed relationships with other educators all around the world by connecting online. A community has developed for nearly every sector in education. When you connect with other educators online and develop relationships, you can begin to collaborate, share ideas, and support one another. We propose creating a community for programming education. I want a place online for great educators like you to connect with others, chat about victories, hurdles, and solutions, and feel empowered to teach kids programming. At 8 pm EST we will host a twitter chat using the hashtag #KidsCanCode. The object of this chat is to build a community of programming educators to increase awareness and collaboration. Each week we will discuss new programming education topics that effect the community. Join me every other Tuesday at 8PM EST for #KidsCanCode twitter chat.